Busy, busy week...preparing for a two day art show this coming weekend and worrying I don't have enough art created and worrying that I will be a simple paper artist in the midst of painters and sculptors and jewelry makers. I try not to think about it too much. Back to today's post. The SCS Clean and Simple Challege this week is a theme - "Sympathy". I don't know anyone who enjoys making sympathy cards. I think handmade greetings are so much nicer than store bought cards for times like this. Card size is 4.25" x 4.5" . I popped up both panels on dimensionals. The embossed layer is an older Cuttlebug folder. The sentiment is an older stamp that I picked up at Michael's years ago. It doesn't have a manufacturer listed on it. Ribbon is May Arts Black silk attached with Glue Arts Ribbon Adhesive (love that stuff!). It's also time for another Challenge at PaperCubed aka P3! This month, the DT was challenged to make a votive or candle wrapper. I have to admit that this candle is actually one I made last year since I'm so short on time due to the art show prep. I was amazed how beautifully it has held up so I nestled it among my sparkly pumpkins. All supplies are Papertrey ink except for the MS binding ribbon. The wheat sheaves are embossed and have a bit of Sakura glitter pen on the kernels. I have a love/hate relationship with this time of year. I love seeing little ones dressed in spooky cute costumes when they come ringing our doorbell for treats. I love the smell of pumpkin bread and pumpkin pie as it bakes and the spicy sweet scent that perfumes the whole house. I love fall leaves and turkey and counting my blessings and baking Christmas cookies to share with friends. Amidst all there is to I love, I hate the busyness...the rushing, the deadlines, the shopping (I don't have shopping gene!). I hate seeing Christmas decorations before Halloween and I hate missing my children and grandchildren. Our grandchildren called tonight to share their trick or treating experience with us. Our grandson said he wore the apple costume I made for his daddy when he and his friends decided to be the "Fruit of the Loom" guys. I can't believe our son saved that costume all these years but I'm so glad he did. Sigh....yep, I miss them. 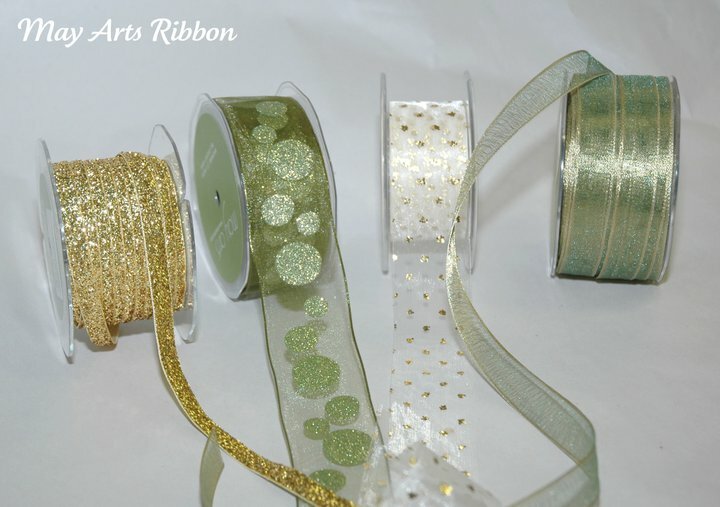 May Arts Ribbon is giving away treats on their Facebook page. Are you ready? If you're not yet familiar with May Arts...their ribbon is fabulous in quality, comes in every texture and design and comes in rolls of up to 30 yards! Here's all you have to do....just post a Halloween project on the May Arts Facebook page. That's it!! No tricks! What are you wating for? I'm heading over...I can't play but I can dream. Hurry though because the winner is being drawn on Monday. WONDERFUL Italian Cream Cake I told you about...It's quick and easy and best of all....it is soooooo good! Mmmmm....we ate the last piece last night...should I make another? I know what you're thinking...she used a BOXED cake mix!!!??? Well, yes she did...it makes this cake fast for those of you who are limited in time and it will be our little secret because noone will able to tell the difference. Shhhhh. Preheat oven to 350 degrees. Grease and flour 3 (9 inch) round cake pans. Beat first 4 ingredients at medium speed with an electric mixer 2 minutes. Stir in coconut and 2/3 c. toasted pecans. Pour batter evenly into the prepared pans. Bake at 350 degrees for 15-17 minutes or until a wooden pick inserted in center comes out clean. Cool in pans on wire racks for 10 minutes. Remove from pans, cool completely on wire racks. Sprinkle each layer with 1 Tablespoon of rum. Let stand 10 minutes. Spread frosting between layers and on sides and top of cake. Chill 2 hours before slicing. Beat cream cheese and butter at med. speed with electric mixer until smooth. Gradually add powdered sugar, beating until light and fluffy. Stir in pecans and vanilla. House Mouse Challenge 81 - Little Punkin, Big Boo! I've been creating, just can't share yet. 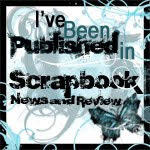 There's a blog hop coming with May Arts and Glue Arts so be sure to stay tuned for the fun. I've already sent off the Halloween goodies to our grandchildren so when I saw the House Mouse and Friends Challenge 81 this week, I thought I'd make a treat for my DH. I haven't surprised him in a while so thought this little basket was perfect for tucking a few Halloween treats in. I like to sneak surprises in his car so he finds them on his way to work. No creations I can share today...I've been working on lots of things for an upcoming craft show and some DT projects that I can't share yet. We're celebrating DH's birthday today...a week late since he had to work during inventory so I'm baking Italian Cream Cake by request. I'll try to remember to take a picture. Here's the reason for my Happy Dance! I won the gift certificate from this week's Impression Obsession challenge! I can go shopping guilt free. Be sure to check out the next challenge and the super awesome DT samples as well. Today was a good day...I got the first little cucumber from my garden and the rest of the veggies are coming along well. Yes, while the rest of you are raking leaves and pulling out your gardens, we in the tropical south are just beginning our growing season! I may never get used to it. It's actually still to warm for lettuces and parsley so I'll have to wait to plant those. Did I remember to take a photo of my cucumber? Of course not! We put it in the Insalata we had for dinner. I did some major cleaning in the studio today so today's project is a quick and easy one. I'm planning on making some of these for the fall craft shows. My friend, Janet, showed me how to make these twisted bookmark tassels using cotton pearle embroidery floss. They are super easy. I found the directions here along with some easy instructions for tassels. Now onto Foodie Friday! DH had inventory this week. He likes to treat the inventory team to homebaked goodies every year and they really look forward to it. I usually make quick breads but this year, I decided to make our traditional holiday breakfast coffee cake. I found the recipe years ago in a Pillsbury cookbook filled with yummy bread and breakfast goodies. You can have this in the oven in less than 30 minutes! Heat oven to 350 degrees. Grease and lightly flour 10 inch tube pan. In large bowl, cream sugar and butter; add vanilla and eggs. Mix well. Lightly spoon flour into measuring cup; level off. Combine flour, baking powder, baking soda and salt. Add flour mixture and sour cream alternately to sugar mixture, beginning and ending with flour mixture. Combine only until thoroughly blended. Combine filling/topping ingredients. Mix well. Spread half of topping in pan. Top with half of cake batter. Sprinkle with remaining topping and cake batter. Bake at 350 degrees for 35-40 minutes or until toothpick in center comes out clean. Invert onto a large plate or cookie sheet, then again onto serving plate, streusel side up. I had to work on another project so didn't have the time or mojo to think up something new tonight. I just decided to do a color re-make of this CAS card. The shoe is heat embossed with Clear EP then cut out and popped up on dimensionals. I love this shoe and sentiment from Impression Obsession. They're by Alesa Baker. Her stamps are so elegant. What do you think of the new blog header? I'm thinking it may be a bit too light? Yep, this bird's in a heap o' trouble! He's fallen in the pot, he can't get out and his fate appears to be sealed 'cause that mosquitoe has a dead aim for his backside. I totally forgot our son's nephew's birthday!! Thought maybe a bit of humor might make up for my lack of memory. I used the sketch from Card Positioning Systems - CPS86 and my Stamps by Judith. I love these cute images because they're easy to build a scene with. I just don't use them enough...have to remedy that. They're so much fun! I stamped the grass on the left first, then the pot. I masked the pot and stamped more grass. After that, I stamped the pot again, masked it with a post-it note, then stamped the Dorky Bird upside down. Cut them out and mounted with dimensionals on my base pot. The mosquitoe has CE on it's wings. Thought I was going to have two cards with this sketch but the second one just didn't want to come together on paper like it did in my head. Does that happen to you? I'll give it another go after I get some sleep. 4:30 a.m. was a long time ago! 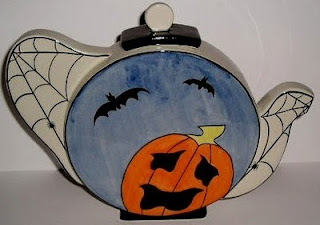 I'm going to bake some cookies and deliver them tomorrow with my card for Lynette -Teapot Tuesday - MMTPT116. Hope you get a chance to make this special lady a card. Teapot Tuesday - Donald was Set Up!! The Teapot Tuesday Destination Station this week is my very own doctor's office. Lynette Watson, my doctor's receptionist has cancer in several areas of her body. You can read a bit of her story and Destination information here. Here's what you need to know for the Teapot Challenge. Lynette loves kids and Disney World so the uber talented Cindy Mothermark chose the most amazing teapot. You MUST go to Cindy's blog and check out her EXACT replications of the teapots. I don't know how she does it week after week!! If you have time to send Lynette a card, I know she would appreciate it so much. Here's my card. I used clipart since I don't have any Disney stamps. You can read my story about how Donald got set up here. I printed out two copies of the clipart then cut one out and popped it up on dimensionals. This week's Clean and Simple Challenge on SplitcoastStampers (CAS89) is a Sketch by kstamper. Karen's coloring is just beautiful and the design is inspired. I'm honored to be on the Fall DT with her. The original challenge was for the CAS Fall DT to make a card with a "couple" of things. Not sure why this new challenge gave me so much trouble but I had major brain strain trying to come up with a card. Then it would not photograph worth a plugged nickel! I think it may be the photographer! You can't see it, but I added subtle dots of glitter on the inside of the embossed panel and the snowflakes on the mittens. Have You Heard? It's May Arts/Hero Arts Blog Week!!! It's here! 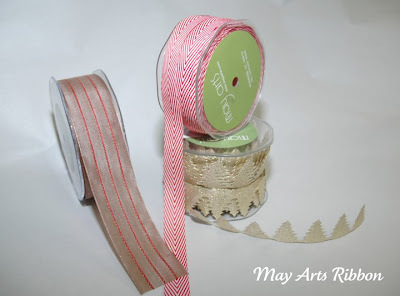 Hero Arts and May Arts have combined to bring you a fabulous week of stamp and ribbon inspiration! There are prizes to be won so be sure to check out both sites and see what the Design Teams have created to inspire you this holiday season. Have you figured out what it is? 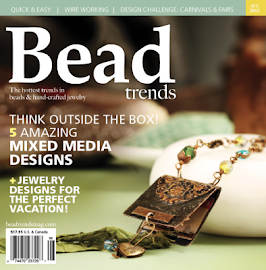 Hop on over to May Arts blog and check it out. Be sure to leave me a comment and tell me what you think. Then pop in here and find out how to win! Teapot Tuesday - Spiders and Bats and Ghosts....Oh, MY!! I have two posts today so be sure to check them out 'cause...It's May Arts/Hero Arts Blog week! Woo-Hoo!! Our Teapot Tuesday Challenge (MMTPT115) this week Destination Station this week is Birchwood, Wisconsin. We are sending our cards to Jacob, the 5 year old grandson of Renee, a fellow SCSer/Teapotter (handmadebyme). Jacob recently had tonsil surgery and the doctors found a cancerous growth on the tonsil. As his plans for treatment progressed unfortunately they discovered his cancer was more advanced than originally thought and had spread to both his kidneys and liver. Doesn't seem quite right for a 5 year old! We are bringing a Halloween Party to Jacob! Renee says he loves scarey stuff! Since he might not have the energy to do any trick or treating this year, we'll brighten his holiday with a skeery teaparty! Here's the inspiration teapot chosen by Cindy (mothermark). I used the Round Card Template from The Cutting Cafe. The base is actually SU Night of Navy but swiped my white craft inkpad across it. The stamps are Michael's $1 spot (spider/web, pumpkin). Those super cute bats and ghosties are from May Arts Satin Cutouts line of ribbon. Aren't they the cutest? I used CE on the pumpkin and the spider and Sakura glitter pen on the web. I also used the most awesome w Glue Arts Glue adhesive squares....love them!!! If you can send a card to cheer up this precious 5 year old, I know it will help ease the stress he and his family find themselves faced with. You can find all Jacob's information here. I dragged out everything I had looking for that sound...tissue paper, plastic wrap? Too quiet. Paper leaves? Yep, that works, but not very original. Finally, I remembered I had a roll of clear acetate cellophane, nice, noisy, crinkly cellophane! I just made it into a clear crinkly bow... clean and simple! I didn't "tie" the bow...I just looped the acetate back and forth then wound some sweet baby pink May Arts ribbon around it and pulled it tight. The center panel has the ribbon underneath the flowered DP. Head on over to SCS and see what the rest of the DT has crinkled up for you. While you've got your acetate out for the JUGS challenge, you should check out the Transparent 3D challenge at PaperCubed, too! Are You Ready? It's HERE!! The Hero Arts/May Arts Blog Week!! 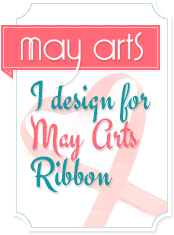 All week long we will be posting projects that combine May Arts Ribbon & Hero Arts Stamps. We will also be having a fantastic giveaway coming up on Tuesday! Have we piqued your interest yet? 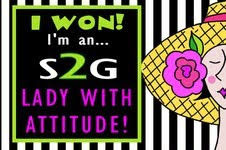 :-) Be sure to head over to the May Arts blog and the May Arts Facebook page for information on how you can win! 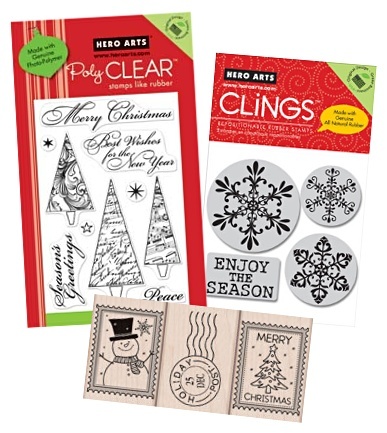 Hero Arts is a family run business, a green business, and our wood block, Cling, and PolyCLEAR stamps are all proudly made right here in the USA! (You can learn more about the company HERE.) At Hero Arts we are dedicated to our customers, passionate about our community, and grateful to be a part of the wonderful and thriving craft of stamping. Visit the Hero Arts Blog and website to join the community and find creative inspiration every day! 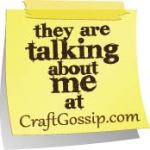 So be sure to keep checking in for a fun filled week of crafty inspiration!